Temperley do stunning, jaw dropping beautiful dress that you can’t help to A, Love B, Wish to at least touch/try on and C, just want to stare at… Or is that just me? This season they wanted to try a new direction and took inspiration from Italian ceremonial dresses and ecclesiastical heritage instead of its sun drenched coast. 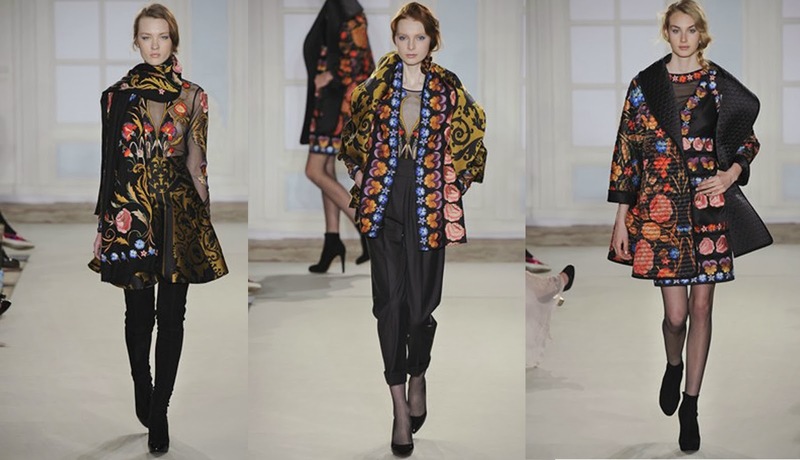 With the jacquard print taken directly from ceremonial robes. 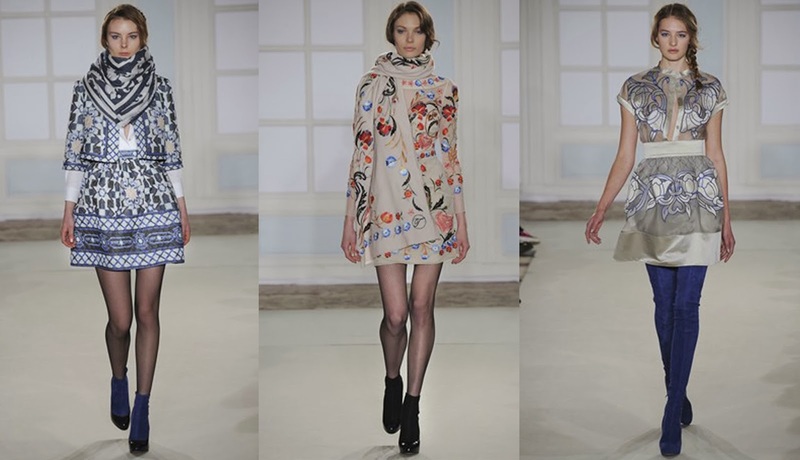 This collection is more for the Temperley Women by Day. Dresses, coats and bandeau dresses covered in decorative prints – inspired by the tile work from the aisles of ancient cathedrals – and particularly lovely quilted cropped jackets and flirty skirts all looked like pieces from the wardrobe of a grown-up hippy strolling down Portobello Road sifting through the market’s treasures – the stricter pieces like the sheer blouses, double-breasted A-line wool coats and crew-neck patterned jumpers acting as her staples for smart-casual dates and freelance meetings in the West End. It’s a bold move for a brand that has cultivated such a strong identity as the go-to for black-tie events and A-list weddings, but one that looks sure to pay off. This is a collection that has got the Temperley after-dark signature but satisfies 24-7.